When we came to Missouri for the first time many years ago, I went through a new discovery phase in nature. For the first time since my childhood I was discovering new birds, new plants, new everything! I still recall my amazement at the vibrant colors of some of the birds in Missouri, the bright red of the Northern Cardinal and the vivid blue of the Blue Jay for instance. Others, such as the nuthatch and the black-capped chickadee, remind me of the birds I see at my feeder in Holland; their relatives look fairly similar. 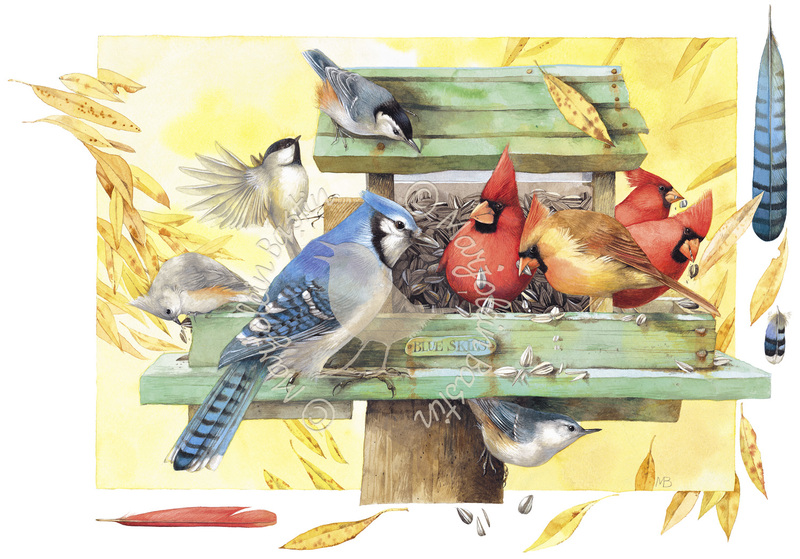 Blue Skies, the name of our home in Missouri, sits in the middle of a large open prairie and is surrounded by many of these beautiful birds, especially when I keep the birdfeeder by my studio filled to the brim! When we arrive from Holland it is a great pleasure to greet these old friends again. They are now just as familiar as the birds in Holland. 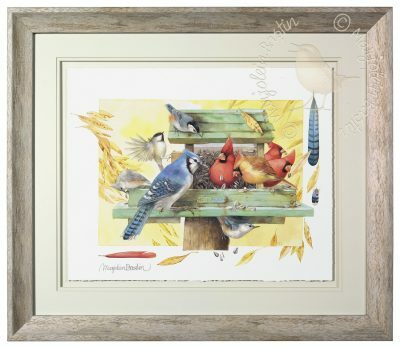 • The blue jay, Cyanocitta cristata, is native to North America and can be found mostly in the eastern and central United States, while some migratory groups can be found in the west. Although they breed in more forested areas, they are commonly found in residential areas as well. 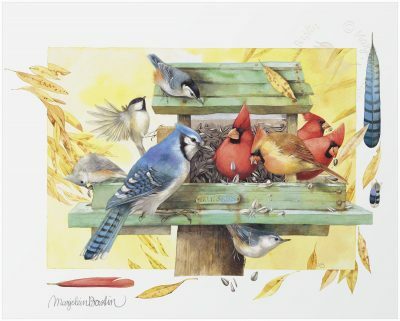 • The Northern Cardinal, Cardinalis cardinalis, is a songbird commonly found in the east and central portions of the United States and southern Canada. The male is a bright red bird while the female has a more brown appearance. • Northern Cardinal pairs mate for life and stay together throughout the year.